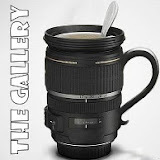 The Gallery – dad you rock! Monday MuMenTum – why is it so hard to fit in exercise? It’s MuMenTum Monday again, which means some hopping and skipping over at Liska’s (New Mum Online). My mission in joining in on this fabulous blog hop is to reach the required level of motivation to get my fitness back and shift that last stone of ‘baby weight’. But I have a question for you: Can I really call it baby weight still? Toby’s 16 months old! Who am I kidding, it’s just weight. This week I am going to use this blog post as a virtual couch in a psychologists office. It’s been a bad week and there are so many reasons why getting your fitness back – and maintaining it – is so darn difficult. Following a major high point after completing a day of the dreaded Tour of Wessex, I failed to squeeze in no more than a couple of runs and a spinning session last week. I have let myself down – failed. The problem is, there are too many things that take priority over and above exercise these days. When I was single and baby-less, I had no distractions. Since having Toby, I’ve started down the road of WAHMing (working from home mummying) and this new venture is more time consuming than the full-time office job. With the office just upstairs, I’m finding it difficult to switch off – even on the weekends. Then there’s Toby; when I’m not working (or blogging) I really should be spending time with my little monkey. And if I don’t he’s taken to punishing me – like a rabid dog – with bites. The whole point to me working from home was to have more time to spend with him and though this goal has been met from a physical perspective I could do better with paying him attention. Why did no one point out how guilty you are left feeling – no matter what you do? Then there’s the housework, the cooking, the garden, trying to find time for friends and family. 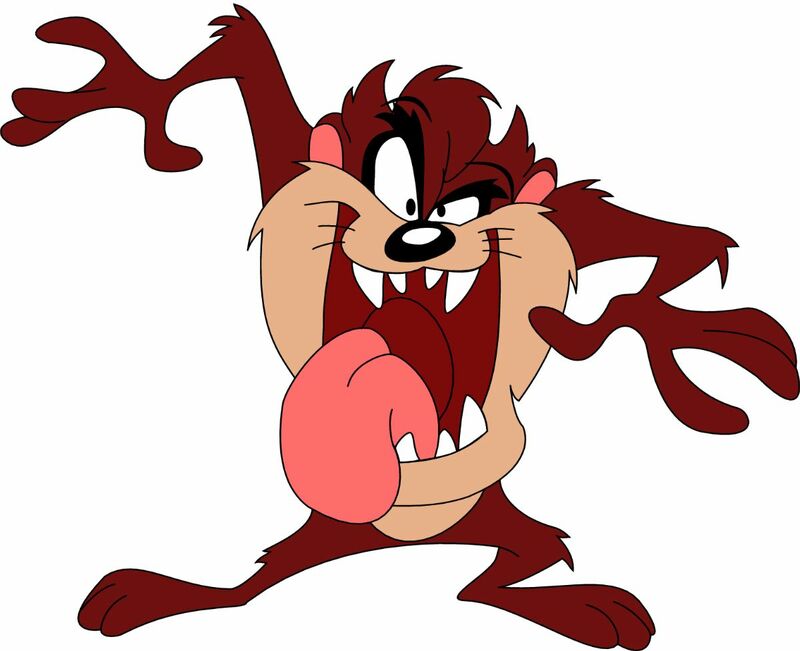 Working from home and having Toby running around the house like the tazmanian devil creates the biggest amount of chaos. The house constantly looks like we’ve been burgled and no matter how hard I try, I just can’t make it tidy. I need some elves. Since Toby turned up, I’ve had to shift things up three gears just to fit things in… And I’m still only treading water. Once that’s all done, I am shattered. So, how do these amazingly fit mums do it? I have so much respect for Paula Radcliffe, who months after giving birth won the New York marathon – amazing. I used to get a lot of my exercise done before work, so I’ve tried this tactic, but Toby seems to beat my alarm every morning. I’ve never been great at evening exercise and frankly, once I’ve fed, bathed, read a story, given bottle, brushed teeth and got Toby into bed, I simply haven’t got the energy to spare. 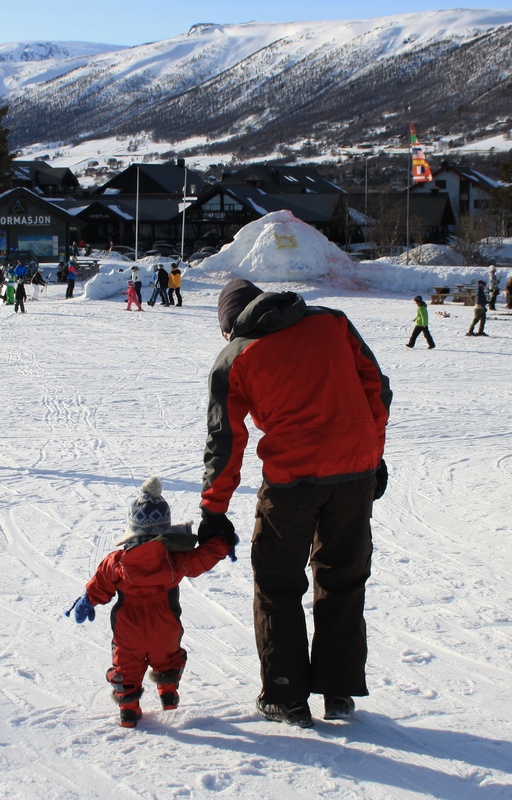 Anyone got any tips on how to squeeze exercise into a hectic day with a toddler? Save the Children has launched a very worthy campaign ‘No Child Born to Die’ and it aims to save 4 million lives in 4 hours at the global vaccines summit, London on June 13th. The objective of the campaign is to secure the shortfall in funding from donor countries (4.7 billion) for vaccinations for all children. You can help them achieve this by signing their petition. As Red Ted Art points out ‘Every year 8 million children under five die from illnesses we know how to treat or prevent, such as diarrhoea and pneumonia.’ Now I don’t know about you, but since becoming a mummy I find reading sentences like this even more unbearable. Having a little toddler running around the house brings it all a bit too close to home. In the week’s that followed Toby’s birth my tired mind contemplated life issues in great detail. Bringing new life into the world makes you question everything so much more (either that or I was suffering from some sort of post traumatic stress disorder. And the long, lonely nights of breastfeeding a newborn gives you far too much time to think). So, during these weeks, possibly months, I began an inner dialogue: What made Toby so lucky to be born a healthy 9 Ibs 1 with no major problems when other babies are born into poverty, undernourished and don’t survive? What made him so lucky to be born into a loving family (that’s not to say that poverty and lack of love are synonymous, just that there are a lot of unloved babies in the world). What made him so fortunate to be born with all the medical care he could want for? Not to mention the food and warmth? And I questioned how I would deal with things if they were in any way different. I was lucky too. Now don’t get me wrong. Toby deserves it all, but every baby born into this world – indiscriminately – deserves the same. So when Multiple Mummy tagged me into Red Ted Art’s meme, I began thinking about all those questions again. To help raise awareness of this campaign, Red Ted has devised ‘crafty challenge’. Our mission, should we wish to accept is to discuss what our children want to be when they grow up and get them to draw about it, teaching them about the sadder side of life through play. 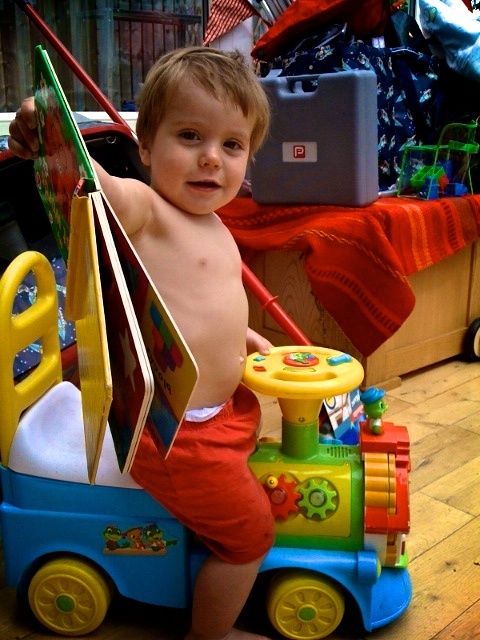 So I began the impossible and sat Toby, 15 months, down and asked him: What do you want to do when you grow up? This question was met with silence, but a look of serious contemplation crossed his face. My tone was fairly serious, so I wonder if he thought I was telling him off. I repeated the question with a kinder tone. Still nothing. One final attempt and I got the response ‘tea’ (which, as of Tuesday, takes ‘first word’ status). So Toby wants to be tea when he grows up. Fair enough – I like tea, hence its place as word number 1. I then took the time to explain to him the Save the Children campaign and let him know that he is a lucky little boy and there are many little boys in the world just like him who don’t get to go to the doctor. I’m not sure he quite understood, but it was worth a shot. Now for step two of the task. Toby had to draw his future job – tea! 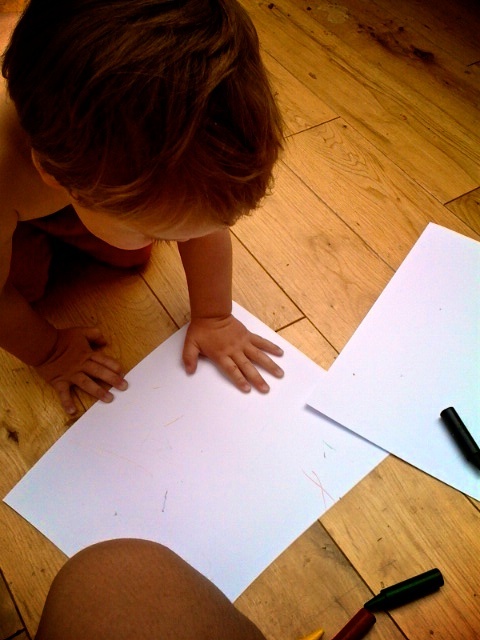 I gathered up his big crayons – which he prefers to eat rather than use to draw with – and sat him down with two pieces of white card. He looked at it for a while with a puzzled expression. Then – result – he picked up the yellow crayon and scribbled a very faint line. He has scribbled more in the past, but today he was not going to and I could read his mind: ‘I’m not a performing monkey, mummy’ and with that he put the pen down got on his choo choo ride along and was off, picking up a book on the way. Perhaps a sign that he has decided being tea is no longer a suitable career option, replaced by train driver or novelist. 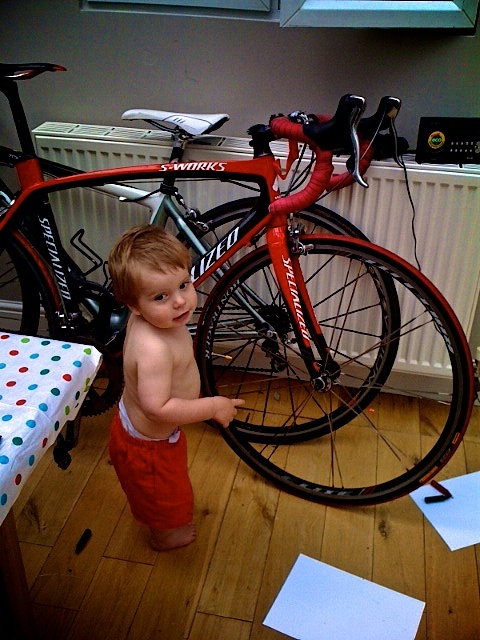 I tried again, but he then got distracted by the bikes sat in our conservatory. So on to the next job – a professional cyclist. I’ll take that! To conclude, I have no artwork to share, but I do have the memories and a few pics to show the process. I also hope that this blog post goes a very small way to helping raise awareness of Save the Childrens’ great campaign. Please take the time to sign the petition. If suffering is preventable, we should bloody well do something about it. And now the final part of the task. I must tag eight others wonderful mummy bloggers to take part. Here goes, and sorry if you’ve aready been tagged! “What’s that? There’s something on my face? It’s called a food moustache. 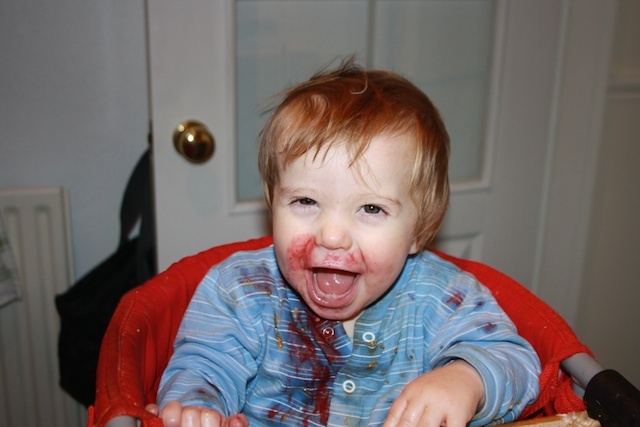 I think I wear it rather well.” Those of you going through the weaning process will sympathise with how impossibly messy it is! The food that didn’t end up round his chops, went on the floor. Looks a little bit like he’s gone vampire. It’s actually raspberries. Toby is 15 months old and had escaped a haircut until now. The reasons for this are twofold. Firstly, I am petrified of even having scissors in the same room as him. 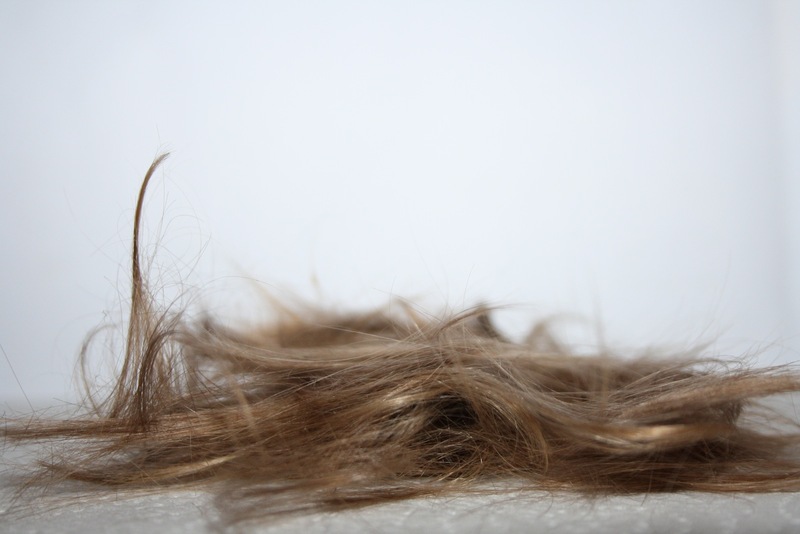 Every time I think of cutting his hair or nails, my heart starts beating faster. Nails fall within his daddy’s job description. Secondly, I loved running my hands through his hair while he was snuggled up on my lap drinking his bottle. It was so soft and feathery. However, with an increasing proportion of strangers mistaking him for a girl, it was definitely time to rid him of the unruly mess that was his hairstyle. I had imagined that on the big day of his first haircut, we’d get him dressed in his best little outfit and take him to a hairdressers. In my head it was a salon with fish swimming around a brightly coloured tank to distract him and a chatty hairdresser with blunt scissors. I’ve been waiting for the day that I thought he was ready and it’s still not come. He won’t sit still for a second and his hair was becoming something of a mop; I’m not entirely sure he could see where he was going through his bangs and he was developing a little tail. Last weekend we went camping in our VW Campervan and then drove onto Cowpie Country show. When we arrived at the Country Show, Toby was fast asleep. Tom leapt into action, rummaging for our camping scissors and began the offensive on the mop. I of course, stayed as far away as possible – armed with camera and with all manner of gory thoughts filling my head. Thankfully no eyes were taken out, or fingers lost in the process, but when Toby emerged with his new style I realised that I no longer have a baby. The haircut transformed him and matured his face. People could no longer confuse him with a girl – he’s definitely turning into a smelly little boy. Where is the time going?